Delivering exceptional customer experiences today is no easy endeavor. Gone are the days when businesses would delights their buyers by solely focusing on accomplishing internal efficiencies in customer care programs. Success in today’s multi-channel and multi-touch customer engagement landscape requires businesses to identify the channel preferences of each client, and streamline internal activities to ensure delivering consistent and personalized messages through multiple touch-points. 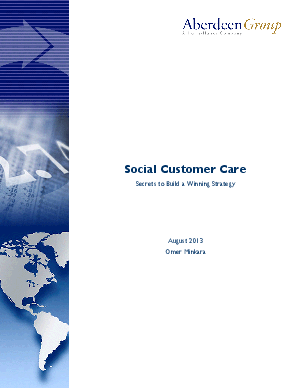 Social media is a key ingredient of these multi-channel customer care programs. To learn more download this Aberdeen Research Document. Compliments of Oracle.